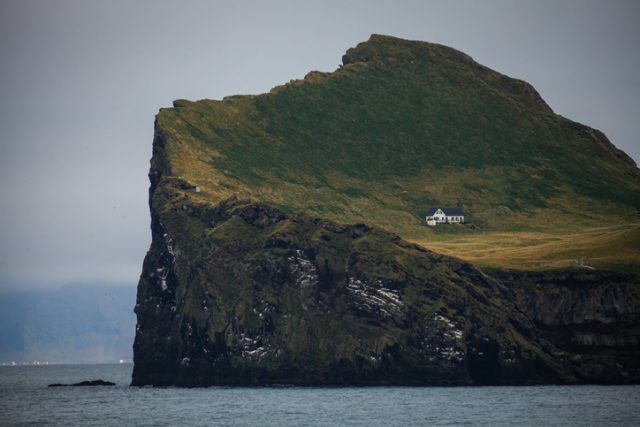 On a remote, deserted, island in the Vestmannaejar archipelago — just off Iceland’s south coast — sits a lonely, solitary white house on the side of a green hill. Exposed to the elements and facing the wild Atlantic waves that crash upon the rocks, this appears to be the most remote home in the world. The island is Elliðaey, and the image of the small, isolated house has given rise to a whole host of theories about who lives there. Over recent years, Elliðaey has been featured in countless reports and articles, fuelling speculation about the island and the owner of its mysterious house. According to one popular rumor, first reported in The Independent, the Icelandic government gifted the island to pop sensation Bjork at some point in the early 20th century. 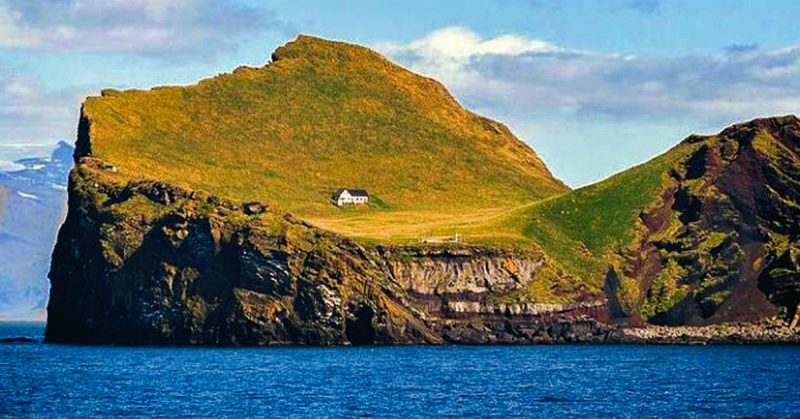 According to the report, Bjork wanted to build herself a remote island retreat and was in negotiations with the government in order to build a home and recording studio on Elliðaey. In reality, however, Bjork had made no such request and the rumor was swiftly debunked. 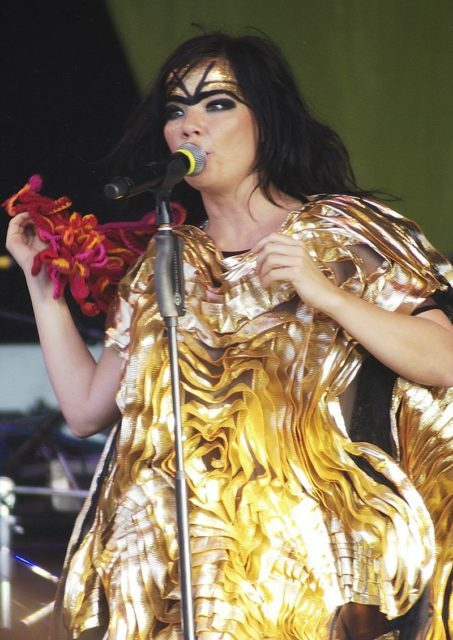 According to the Australian news network news.com.au, Bjork had briefly been in discussion with the Icelandic government regarding another island (confusingly also named Elliðaey) in the early 2000s, but she withdrew from the project following a negative press reaction. However, there is no connection between the singer and the uninhabited island of Elliðaey in the Vestmannaejar peninsula. Nevertheless, rumors continue to swirl around this strange house on an apparently otherwise uninhabited island. One popular theory posits that it was built by an eccentric billionaire who planned to move to Elliðaey in the event of a zombie apocalypse. Others have suggested that it is a retreat owned by a fanatically religious hermit. 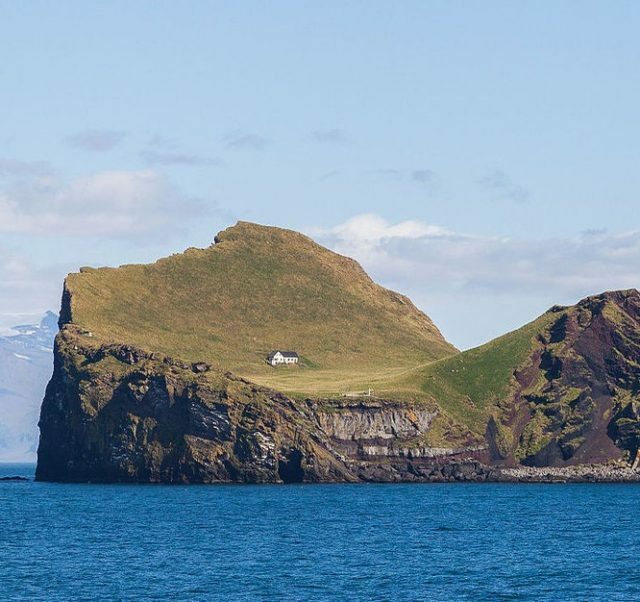 Some have even speculated that the house doesn’t exist at all and that it has simply been photo-shopped onto images of the island in order to cook up an interesting story. Unfortunately, according to news.com.au, the reality is far less exciting than these rumors might suggest. 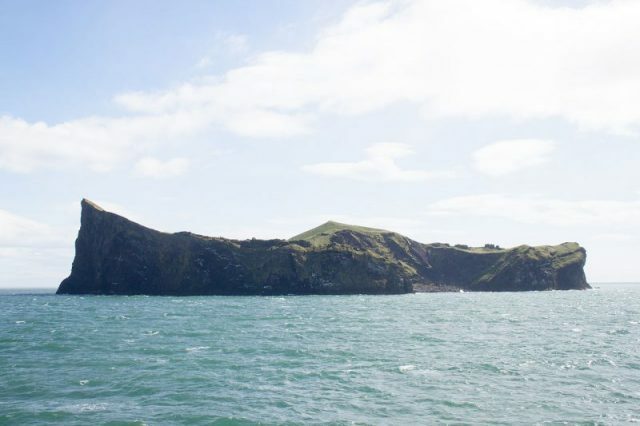 Although a handful of families are known to have lived on the island from the 18th century, it has been completely uninhabited since the 1930s. Life for the small number of people who braved the elements here in the 18th and 19th centuries was grueling and lonely, and they lived primarily on fish and puffin, Elliðaey’s principal food source. Eventually, in the 1930s, the remaining five inhabitants decided that their prospects would be much improved by moving to the mainland, and the island has lain empty ever since. Where, then, did the white house come from? 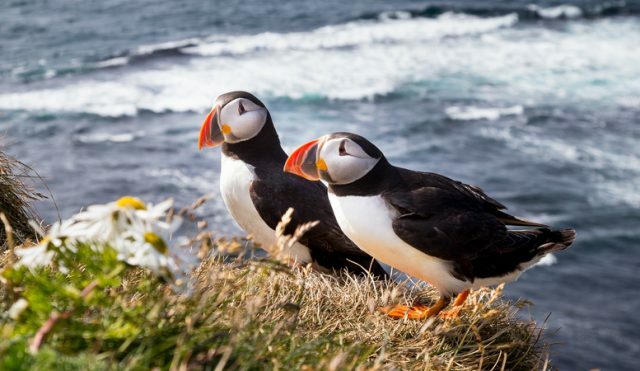 Although life on Elliðaey was difficult, it did offer one advantage: a ready and ample supply of puffins, and former residents and neighbors did return to the island periodically in order to hunt. In the 1950s, the Elliðaey Hunting Association decided to build a base on the island to make these trips easier. The Elliðaey Hunting Association continues to maintain the white house as a hunting lodge to support their activities during expeditions to hunt puffins on the island. While it might appear to be an idyllic retreat from the world, the little white house lacks electricity, running water and even indoor plumbing. However, it does boast its own sauna, essential after a long day of hunting, which is fed by a natural rainwater collection system. While Elliðaey may not be home to an eccentric billionaire or a music legend, it remains heaven for bird life. In addition to the many puffins that live on the island, Elliðaey is also a major nesting area for storm petrels and other sea birds. For this reason, it is officially listed as a nature reserve and a protected area. 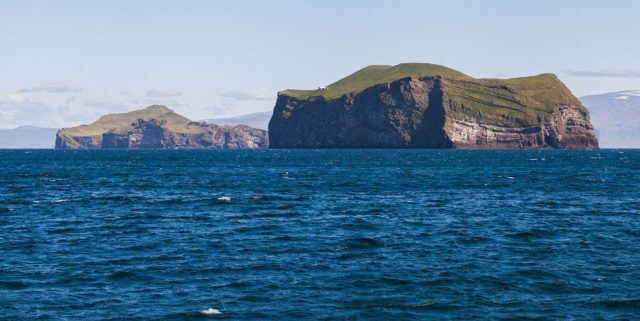 Tour companies operating in the Vestmannaejar peninsula offer day trips to this beautiful, wild location, but for the time being, the little white house, and the rest of the island remains unoccupied.